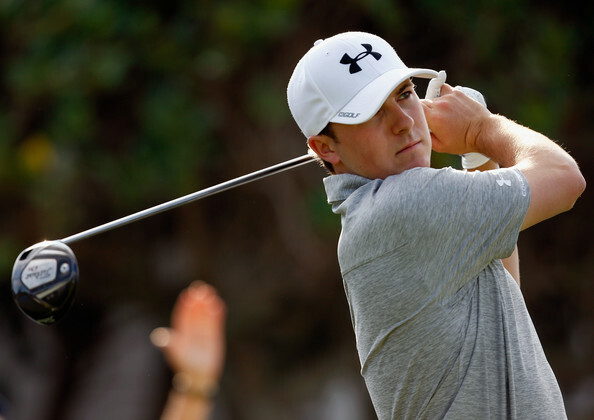 Will Jordan Spieth become the next superstar on the PGA Tour? Jordan Spieth. Photo Credit: Tom Pennington – Getty Images. Jordan Spieth has been successful at every stage of his golfing career, and he continues to impress with a T2 at The Masters and a T4 at The Players. Spieth has already cracked the top-10 in the world rankings as a 20-year-old, and is the favorite to win this week at the HP Byron Nelson Championship. He is on the fast track to superstardom! It all started four years ago at the TPC Four Seasons Resort when Jordan finished T16 at the 2010 HP Byron Nelson. He showed promise as a sixteen-year-old, and he has delivered in his first two seasons as a member of the PGA Tour with 15 top-10s and one win at the 2013 John Deere Classic. Spieth is must watch TV for the average golf fan, but will he become must watch TV for the average sports fan? If he starts racking up the W’s, then all the fears of a Tiger-less Tour (including my own) will be put to rest. Winning and the PGA Tour are basically antonyms, so I need to be careful about crowning Jordan just yet. Despite playing incredible golf, Spieth only has one win on the PGA Tour. To put things in perspective, Rory McIlroy hasn’t won since 2012, Jason Day finally got his second win at the WGC-Accenture Match Play, and Rickie Fowler has only one win in six solid years on Tour. Superstars win tournaments, and that will be the way Spieth distinguishes himself from the deep pool of young talent on Tour.